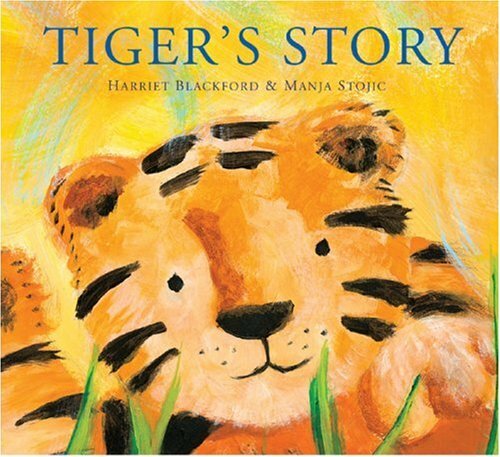 A gentle, storylike introduction to the life of a tiger. Lovely pictures (Manja Stojic, duh) in bright colors make the book a delight to look at. The text hovers between being a fact book and a story, conveying just enough information for younger readers. Can I mention the pretty pictures again? 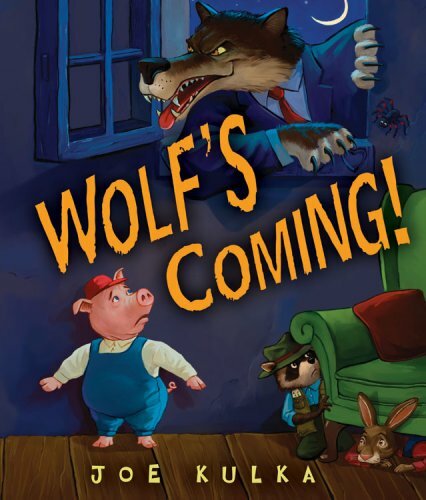 There’s a sense of foreboding in the text and pictures as a wolf is getting closer and closer to the other animals. But kids can observe the hints that maybe all’s not what it seems. The end is a nice payoff, but maybe not enough to make the book great. It’s still a good storytime book for preschool-age kids. Oh, or a book in a preschool that could be read on someone’s special day. The book has received five stars from all eleven Amazon reviews, so it’s definitely working out for parents and kids. From the jacket: “His work as an elementary school teacher and as founder of a literacy initiative for boys (www.guysread.com) drove him to create Trucktown, a crazy, fun action series for the youngest readers.” So I guess we can expect more titles if it’s a series at work. 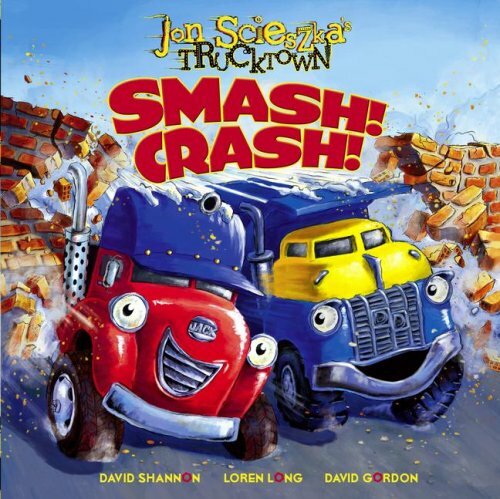 In this book two trucks, Jack Truck and Dump Truck Dan, are best friends and they like to SMASH and CRASH whenever they can. It’s not always the right time to SMASH and CRASH, and sometimes they leave things worse off for the other trucks, but at the end their skills come in perfectly. The book did nothing for me, but I’ll be interested to see how it plays with boys. With all the crashing and smashing, I suspect it will be a hit. My four year old daughter enjoys Smash Crash, although it isn't one of her favorites. It didn't do anything for me either, which was really disappointing as I'm a huge fan of Scieszka. Good idea for Wolf's Coming! -- using it on birthdays, that is. I thought it was a clever concept.